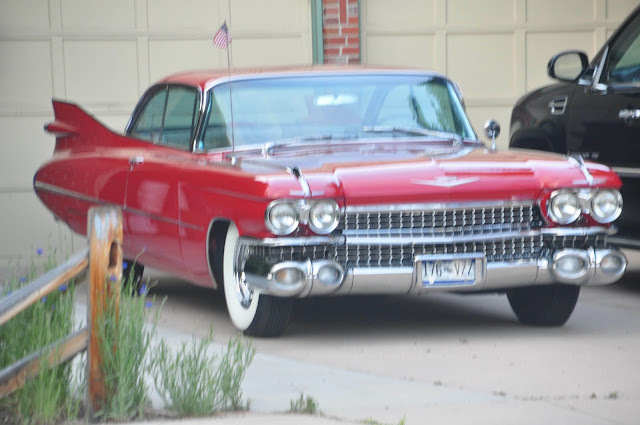 I was out taking a bike ride in my neighborhood tonight and came across this beauty, which I have never seen before. 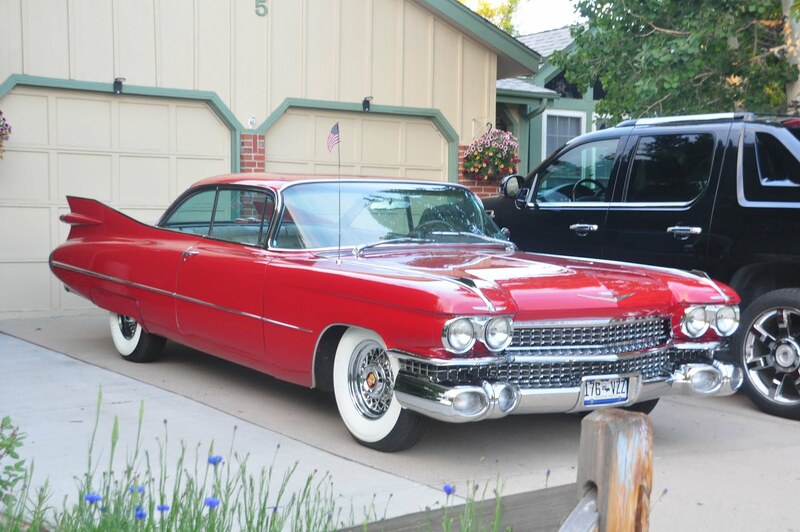 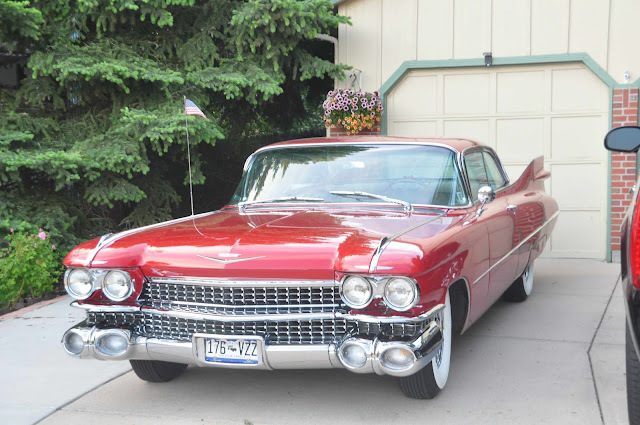 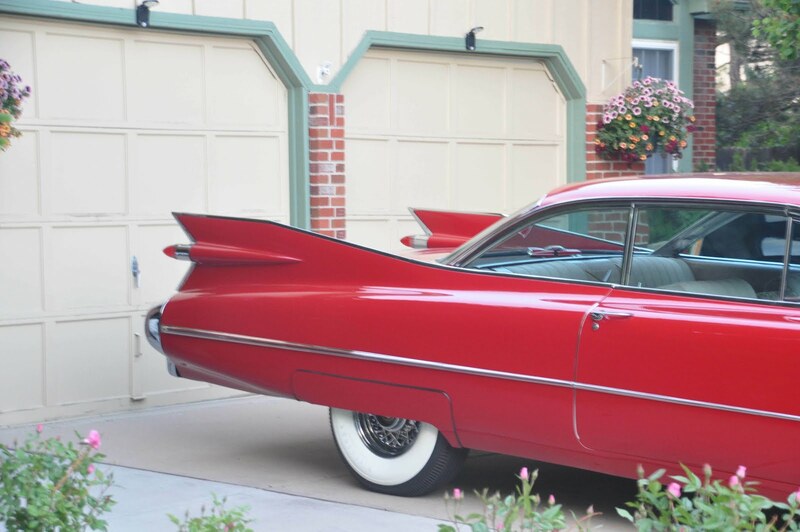 This was the height of soaring tailfins, the Cadillac dialed back just a bit in the 1960 model. Maybe someone can enlighten me as to why the color of choice for classic cars invariably seems to be cherry red? 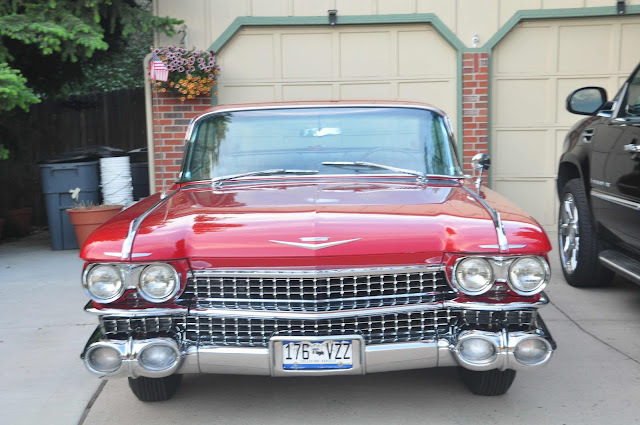 Incidentally, this is the car that someone uses on a regular basis. 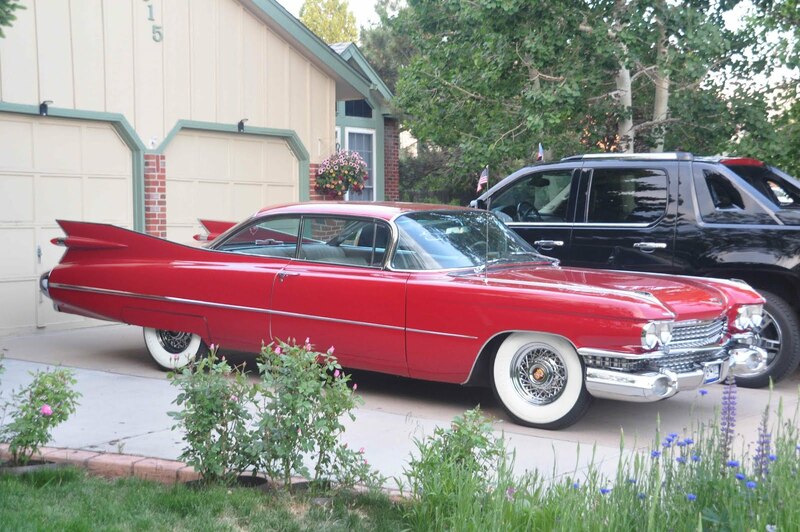 Yes, it is fixed up to a nice condition - but it is not sitting in someone's barn or something like that on blocks. It may not be a daily driver, but if it isn't, it is darn close.